Arrowhead Alpines Blog: New goodies in the catalog! New goodies in the catalog! 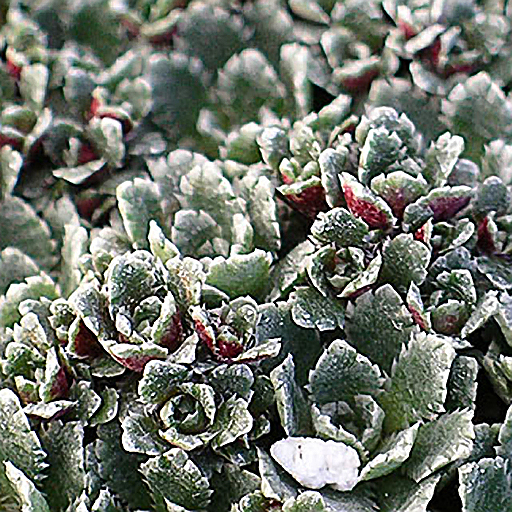 We're getting back to our alpine plant roots, and glad to be listing this saxifrage with terrific silvery foliage that will nestle happily between rocks in your rock garden. Some saxes are fussy in hot summers, but this is one of the tough survivors and will give no trouble with sun and good drainage. Tricyrtis macrantha ssp. macranthopsis 'Juro' is a one-of-a-kind plant, a fully double flowered form of this gorgeous species, with huge yellow flowers on trailing stems in the fall. Lily of the Valley is not a rare plant by any stretch of the imagination, at least not in the regular green form, but there are a lot of really cool variegated forms that are well worth growing. 'Golden Slippers' has beautiful brilliant yellow-green foliage, and 'White Margin' which has a neat white edge to the leaves, much nicer than the usual striped variegated form. Dicentra canadensis isn't new, but it is beautiful, and now is the time to think about ordering it and other bulk bare root woodland wildflowers like trillium, blood root, and virginia bluebells. All of these will do best planted in the fall, like you would your daffodils or tulips. If you live locally, we look forward to seeing you are the nursery. We're now on our summer/fall hour, Friday, Saturday and Sunday 11 - 5. Wow! What a nice blog....!! Your text is as good as the photo. Thanks that there are people who are blogging on a similar topic. I was looking for a source of useful information for my child that would help him write paper for me about how important it is to appreciate nature. The new comers are so pretty!